No deposits, no risk. You owe us nothing until you’re 100% satisfied with your window cleaning or any other service. If rain or weather messes up your windows within three days of service, we’ll re-clean affected areas for free. Since 1999, Chattanoogans have trusted True Shine to care for their homes as our own. This is no small thing, and we’re grateful for each of our relationships – first-time callers and seasoned True Shiners alike. Our customers know that when they open their door to our awesome crews, we’ve arrived on time, in uniform, and ready to maintain your home with expertise. Each job begins and ends with real people. Our highly-trained crews are professional, trustworthy, and take every measure to ensure your property is protected throughout the cleaning process. While inside your home, we wear shoe covers and use special equipment to protect floors and furniture. While outside, we are mindful of your landscaping and sprinkler heads, and use pads on top of our ladders to protect your siding. 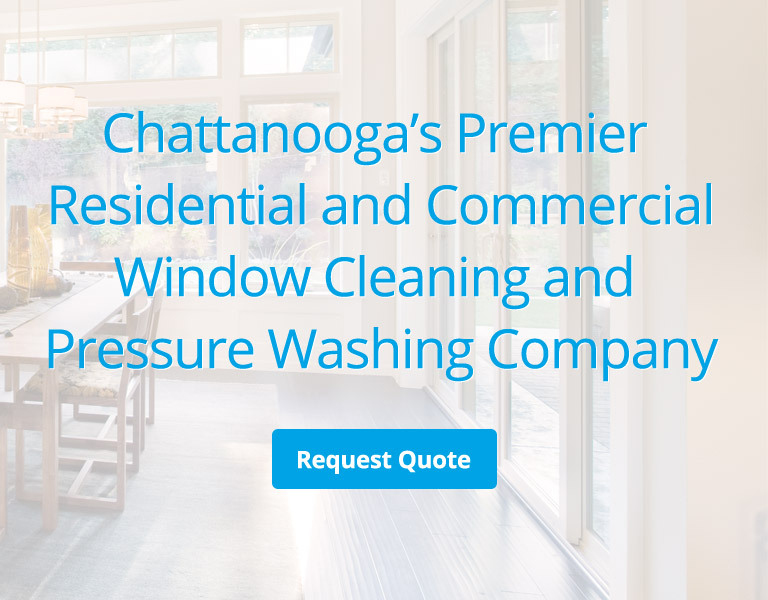 The quality of our Chattanooga window cleaning and pressure washing service extends beyond the new shine we put in your windows, lights, decks and exteriors. From the initial bid to the completion of a job, our customers know we’ll be punctual, reliable and professional. Our crews are always trustworthy, friendly with families and careful with furnishings.